The data below cumulates the world’s estimated diamond production by mine in terms of carats produced and value produced in U.S. dollars. The mines listed below are estimated to account for 84% of expected global 2013 diamond production of 130 million carats. The balance (or 16%) of global production not included below comes from small-scale operations, where production data is unreliable or not available at all. According to Zimbabwe Mining Development Corporation projections, Zimbabwe’s Marange diamond fields are expected to produce 16.9 million carats in 2013, which would make the project the largest in the world in terms of carats produced annually. Partnership Africa Canada, a non-profit organization, estimates that production from the Marange fields would be as high as 30 to 40 million carats annually if Kimberly Process restrictions did not exist (the Kimberly Process is a global non-profit organization established to prevent the trade of conflict diamonds). While the Marange fields may produce more carats than any other project in the world, the quality of the diamonds produced are among the lowest in the world, averaging only $60/carat (the global average is approximately $100/carat according to Kimberly Process data). Zimbabwe is the fourth largest diamond producing nation in the world, and the Marange fields represent almost all of the nation’s production. In terms of total diamond value produced annually, Botswana’s Orapa mine is the world leader. Estimated to produce over 11 million carats in 2013, with an average price of $145/carat, the Orapa mine is estimated to produce over $1.6 billion dollars worth of diamonds in 2013. 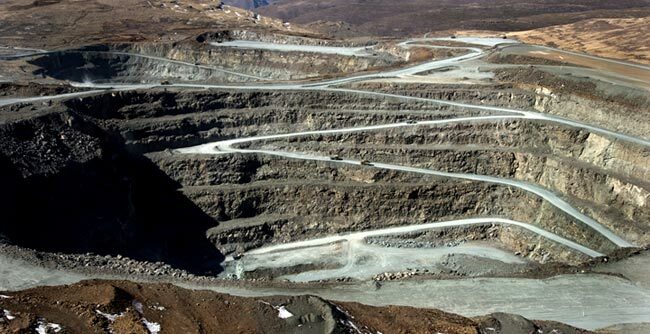 The Letseng mine in Lesotho is estimated to produce diamonds with an average value of $2191/carat, making it the worlds richest on an average per-carat basis. However, Letseng is only estimated to produce 85,000 carats this year, worth $186 million. Australia’s Argyle mine, while famous for producing over 90% of the worlds fancy pink diamonds, has the lowest average value per-carat output in the world. Unpopular brown diamonds, most of which are classified as industrial quality, account for the majority of Argyle’s production bringing down the mines average carat value to only $25/carat. In 2013, Argyle is estimated to produce 10.2 million carats. The Russian Federation is the largest diamond-producing nation in the world. In 2013 Russia is estimated to produce over 33 million carats worth over $3.4 billion. State run diamond company ALROSA accounts for approximately 95% of all Russian production (See: The Worlds Biggest Diamond Producer is a Company that you Probably Haven't Heard of). After Russia, the Democratic Republic of Congo or DRC is the second largest diamond-producing nation in the world. Artisanal and small-scale miners account for most DRC production, and a third of DRC’s diamonds are believed to be smuggled, making quantifying production very difficult, thus no DRC producers are represented below. The Kimberly Process had the DRC producing 21.5 million carats in 2012. Also included below are projects in development (highlighted in blue). Of note is Russia’s Grib project estimated to produce 4 million carats annually for 19 years with production expected to commence before years end. Canada’s Gahcho Kue project is estimated to produce 5 million carats a year for 15 years starting in 2015.